The most common fault with these old machines is a non-working drive. 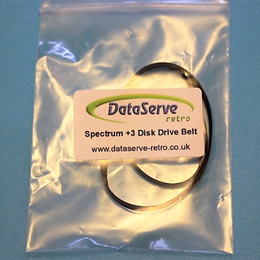 The old belts perished badly over time and in many cases the solution to a dead drive is a simple belt replacement. These belts are of identical design and size to the originals. If you do not have the knowledge or confidence to open up your disk drive, please see the drive service and repair package offered in my shop.